With the increasing federal deficit, it’s time to start examining where taxpayer money is going and how it is being spent. Republicans have now taken a stance against the Department of Energy’s loan programs for renewable energy companies, with the ‘No More Solyndras’ Act. The DOE program began at the end of the Bush administration, but under the Obama stimulus has obtained $47 billion more in loan granting authority. The DOE loan guarantee problem lies in the fact that there has been little to no oversight and monitoring of the loans and how the money was being spent. Even worse is that there is no definitive reasoning as to why certain companies were chosen for the loans in the first place. 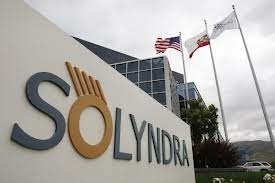 The ‘No More Solyndra Act’, introduced in the U.S House Energy and Commerce Subcommittee by committee Chairman Fred Upton (R-Mich.) and Rep. Cliff Stearns (R-Fla.) would disband the loan program, stop the Energy Department from issuing any loan guarantees for applications received after 2011, and set new guidelines and standards for the granting of existing applications and loans already awarded. Under the ‘No More Solyndras Act’, all loan guarantees under DOE consideration must be reviewed by the Treasury Department before awarded. This draft bill also states if the Department of Energy chooses to make a guarantee-going against the Treasury’s decision, they must submit a report to Congress detailing their decision. ‘No More Solyndras’ mandates that the DOE consult with the Treasury Department if any loan guarantees require restructuring. The draft bill also calls for the prevention of “subordination” of the taxpayers to private investors. This last point is in reference to the fact that in past cases the Department of Energy brought in hedge funds, allowing them to have access to taxpayer funds. When these companies go bankrupt, private investors are also the first to step up and collect their money ahead of the government, before taxpayer money is repaid. This Act also calls for an economic analysis to be run on each individual company to ensure the project is viable. Investigations by various organizations and agencies have found that many loan guarantees were pushed through even after the DOE was suggested to pull the companies funding. It is not that renewable energy doesn’t deserve a chance to compete with natural gas and receive investing to further research for the industry, but it does need to compete fairly. Right now we are throwing billions of dollars in loans, grants, and subsidies at an industry in order to force the reliable and affordable natural gas firms out of business. Even with DOE throwing billions of taxpayer funds into alternative energy companies their profitability and competitiveness is falling. Until the technology is there to affectively, efficiently, and affordably produce renewable energy we need to stop wasting the taxes paid by hard working Americans that results in jobless bankrupt companies.